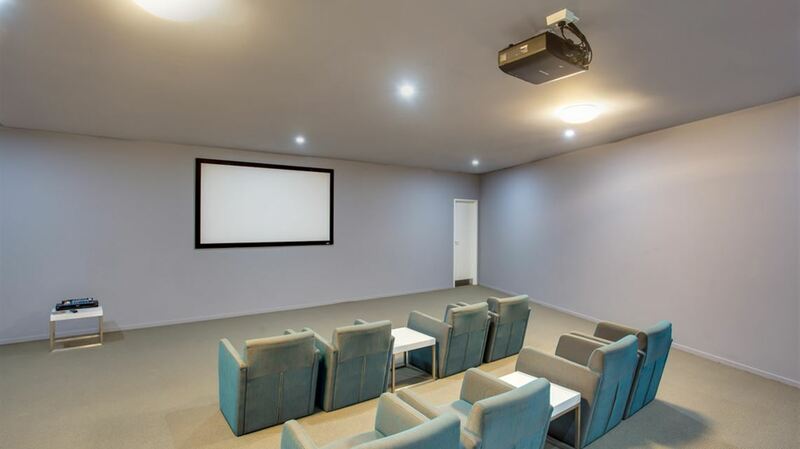 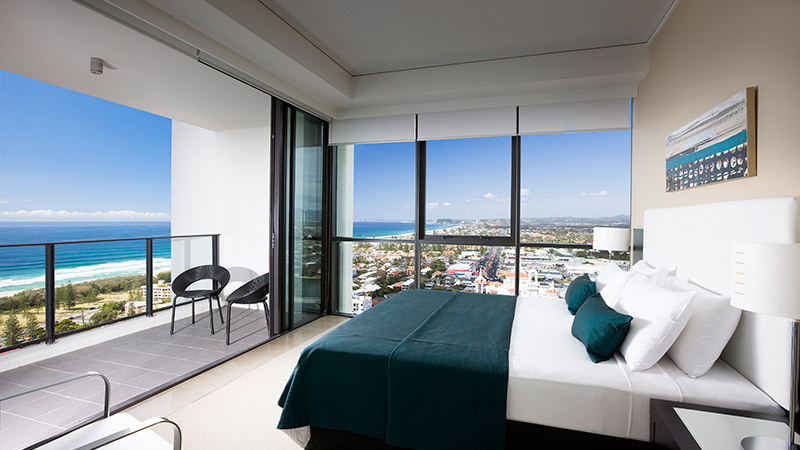 This resort offers quality accommodation and is conveniently situated close to attrations such as Pacific Fair and the Gold Coast Convention & Exhibition Centre. 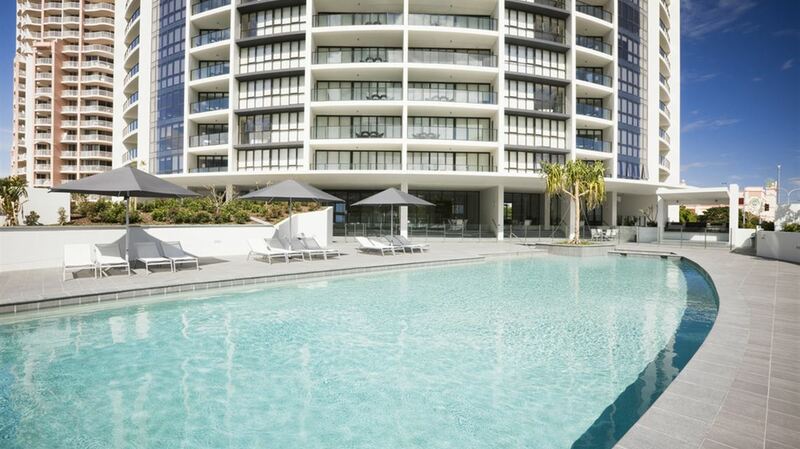 Experience premium Broadbeach accommodation with Mantra Sierra Grand resort. 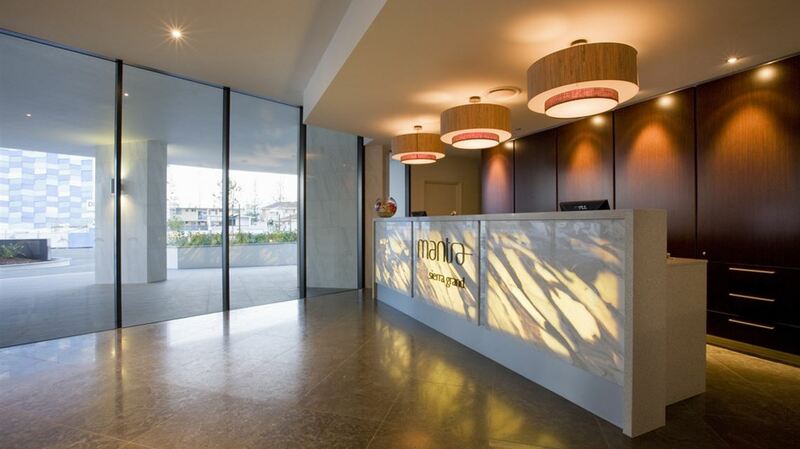 Located just 250m from the golden beaches and crystal surf, Mantra Sierra Grand resort offers modern and stylish one, two and three bedroom Gold Coast apartments. 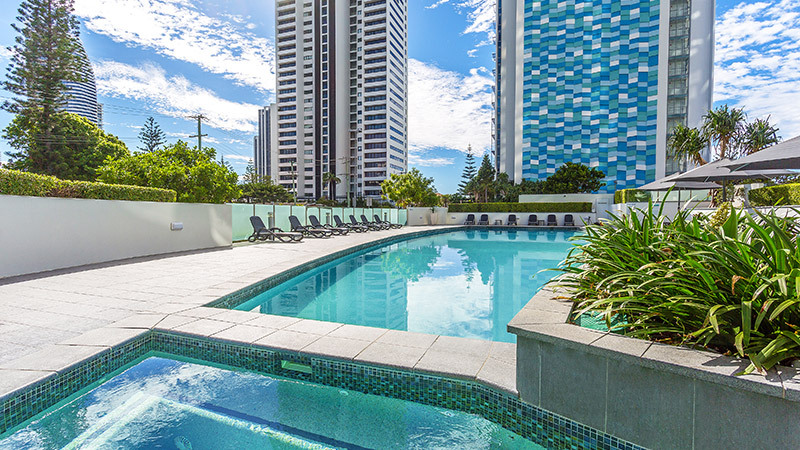 Boasting wide balconies with some offering panoramic ocean and hinterland views, our Broadbeach apartments are a wonderful option when it comes to your Gold Coast accommodation. 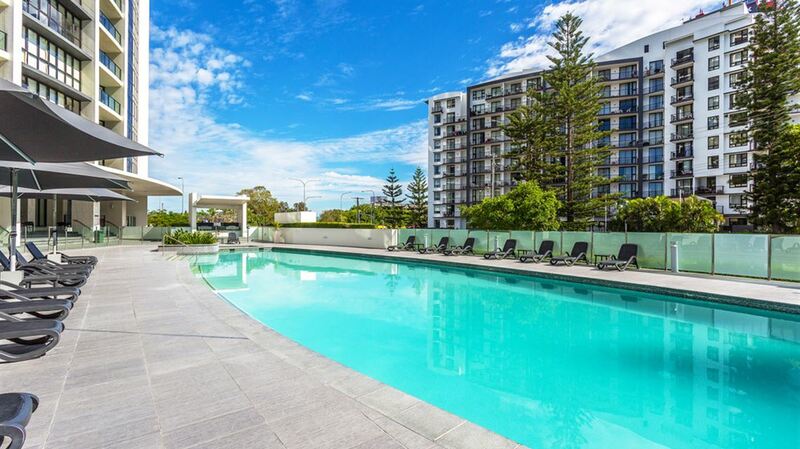 Ensuring a comfortable and relaxed stay with us at Mantra Sierra Grand, our Broadbeach apartments offer a variety of resort facilities and services available to all guests including heated pools and spas, sauna, steam room, tennis court, fully equipped gym and in-house theatre. 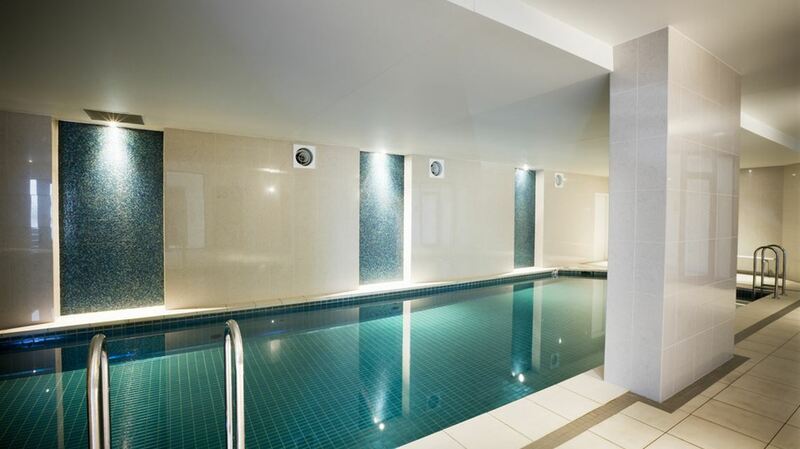 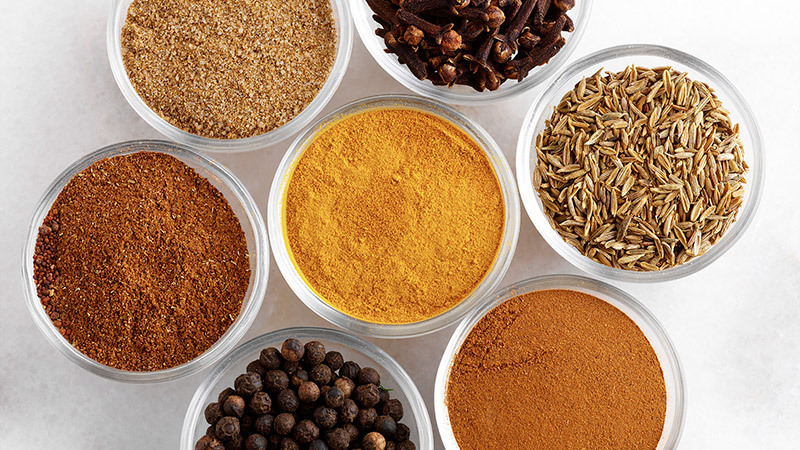 Also onsite you'll discover Saffron Indian Restaurant and Jakamama Lounge Bar – the perfect place for a pre-dinner drink. 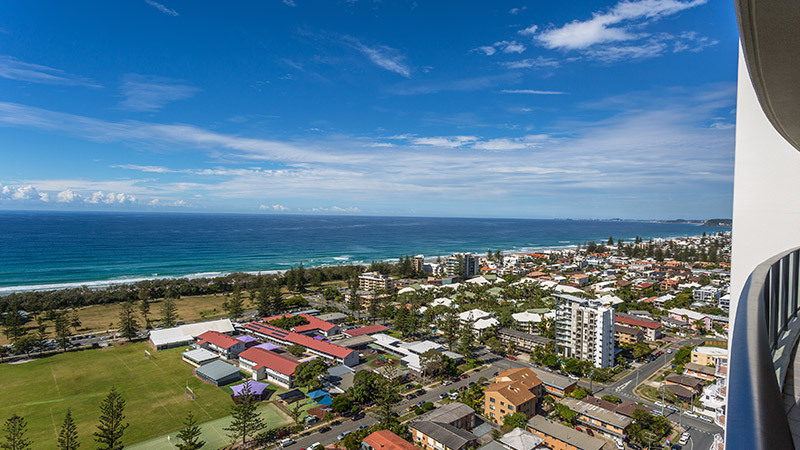 Only a short walk from your Sierra Grand resort apartment there is always something to do, whether it be shopping at Pacific Fair and Broadbeach Mall, taking in a stage show at The Star Gold Coast, or experiencing great food at one of the many alfresco restaurants that line nearby Surf Parade. 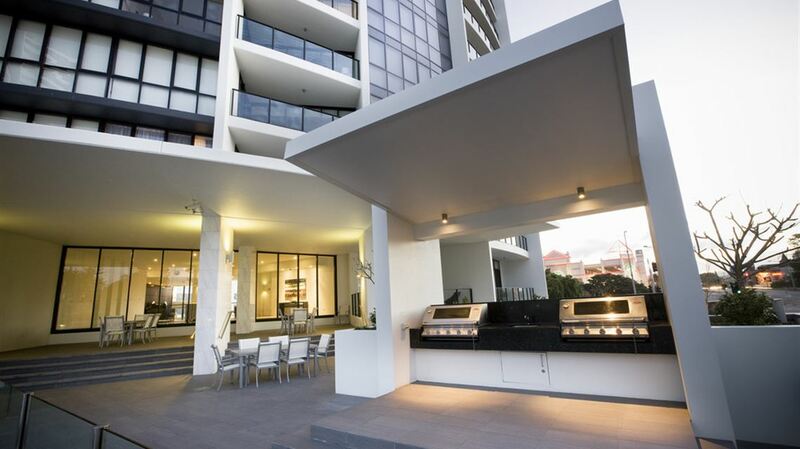 Broadbeach is fast becoming the cultural hub of the Gold Coast and we invite you to experience it with Mantra Sierra Grand. 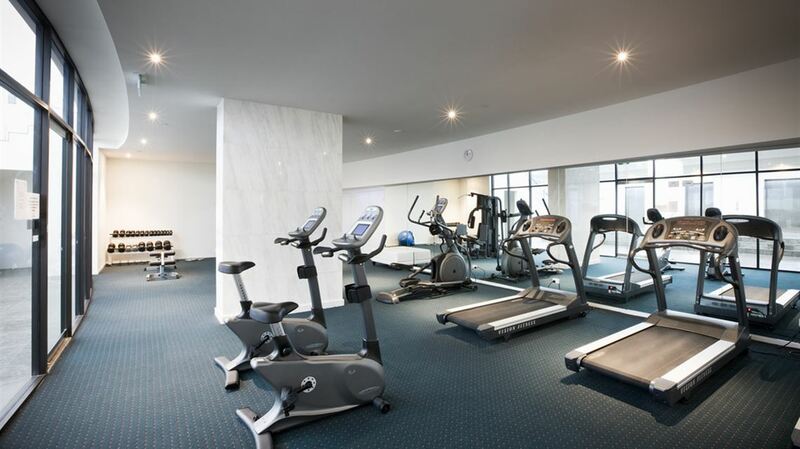 Complimentary car parking (1 vehicle per room, subject to availability).